I was seeing the same distance as the ATMOS but no idea where it was going, I think I was getting way too much spin but no numbers so who knows. i’ll be fit into an accra ox driver shaft in november at the txg golf session here in orlando. i know nothing about these shafts and will do a little homework. i had an accra concept series for a little while but moved on pretty quickly. also tested the i80 iron shafts last year but didn’t see anything better than other oems. I got fit for an fx 2.0 150 M4 I think, have had it in my driver for a while. I like it quite a bit, but not sure if it is really any better than a couple of the other driver shafts I have tried in the last couple years. Cool looking shaft, and I think does about as well as my swing will let it. Would like to get your thoughts on the FW specific shaft. Which club is it going into? $175 for a Made in Japan shaft that has a profile specifically for FW is very tempting. Driver into Srixon 585 and fairway into TEE CBX 16.5 for now. Sweet...looking forward to hearing about your experience with this shaft. Totally would love to learn more about this company now. I'm pretty impressed, very quickly. 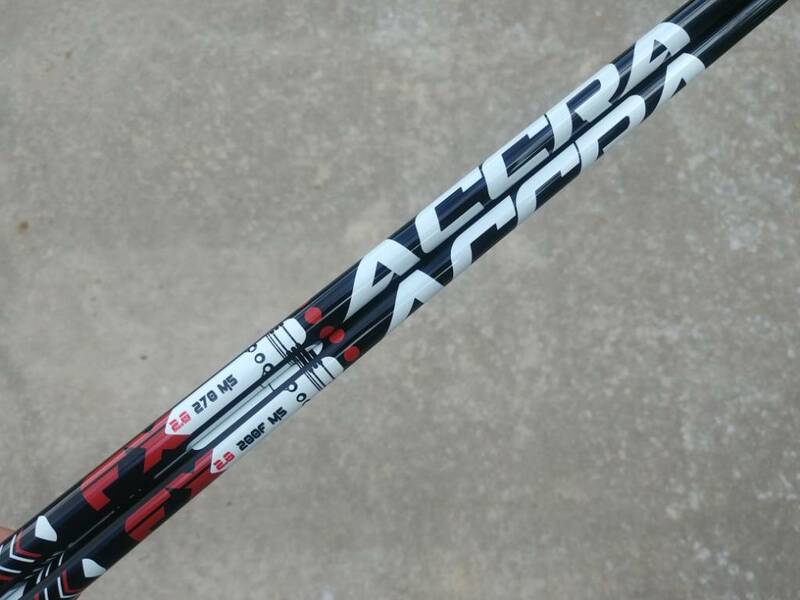 I always found it interesting the ACCRA name was originally a UST shaft product. Pretty sure you're thinking ATTAS or Axivcore? Just a quick note, ChristopherKee is correct. ACCRA began as a relationship between UST and RP. That's a cool little quick note. Reminds me of House of Forged and Matrix.